Hydrating antioxidant complex protects skin from environmental agression. Contains a moderate sunscreen with essential oils and vitamins. 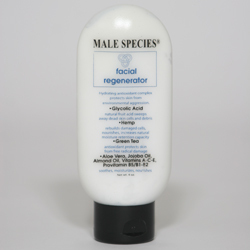 Glycolic Acid: natural fruit acid sweeps away dead skin cells and debris. Hemp: rebuilds damaged cells, nourishes, increase natural moisture retention capacity; Green Tea: antioxidant protects skin from free radical damage; Aloe Vera, Jojoba Oil, Almond Oil, Vitamins B5/B1, B2 soothes, moisturizes, nourishes. Helps to diminish fine lines while revitalizing texture and appearance of skin with our unique antioxidant formula.